Best numerologist in Vizianagaram :Numerology can resolve the problems of an individual . The persons who have a fortunate name number are luckier than those who are born on a auspicious date. If the name is not suitable, even those who are born on a lucky date may not benefit from lucky birth number. Numbers and letters are considered to be the two eyes of human beings. if things are done in the right way at the right time, success will be guaranteed. Famous numerologist in Vizianagaram:Life has a number of problems to face. Such problems can be resolve with the help of numerology. It is a science of rare powers. Every letter has a sound and therefore a name emits sound vibrations. All the beneficiaries considered this science as an excellent tool for them to success with a slight alteration in the spellings of their names. Numerology can be used to give a lift to people from poverty to prosperity. Highly positive results can be achieved by a small correction of name. Several incurable diseases can be cured through the science of numerology. Change of names produce definite and speedy recovery from ailments. Life will become more successful when they change their names to a lucky name. As we cannot change the date of birth , we add or subtract alphabets from the name to match the vibrations of date of birth so that all positive things should happen in life. Numerologists in Vizianagaram:The success of the marriage between any 2 persons is also determined by numbers in the date of the marriage. When a person does something on a lucky date, sure shot success is assured. Numbers is important to begin a new business, buy a new vehicle, buy lands, move into a new house, join a new job, sign new contracts, finalise a marriage etc, In all the above luck can be brought in it if such a work is undertaken on an lucky date and luck number. Numerology could also be used to forecast problems in a couple’s relationship,All in all, partners in a relationship would have better compatibility. on the whole, it analyzes and uses the combinations of the letters in your name and the date on which you were born to give clues as to your personality, strengths and weaknesses, natural talents, and life purpose. Numerology help to get back on track and move in the direction you were born to take. By making simple name change in your life based on your numerology chart you may be agreeably surpised at how everything seems to improve, things fall obviously into place and you find the happiness you have been seeking. Business names decide the success or failure of the business, the best date to register the business and how they will work together and the results they will give you. The key idea of numerology services help to influence people towards the optimistic and strong traits rather than negative or weak traits. 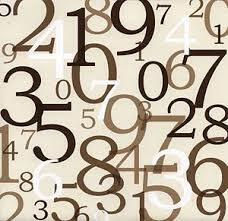 Numerology deals with the calculation of the future with the help of numbers having a desire of reaching to the peak. When number is in harmony with the number of any other person, the client will experience a harmonious relationship with that person. When a person uses vehicles like car, or motorcycle with lucky numbers and lucky colours, such numbers and colours prevent possible accidents. Numerology is used to find out a person’s personality, strengths and talents, obstacles to be overcome, inner needs, emotional reactions and ways of dealing with others. If we use the art of numerology intelligently and accordingly, we can use the powerful vibrations that are universally emitted by the creation of numbers and can be put into a form to which can understand. Thus the numbers will guide you successfully throughout the life. The top most political leaders, who could be the destiny of their nations, take suggestion from Numerologists enquire about their own destiny. It is matter of great concern that during the Second World War, Hitler used to consult his Numerologist on many occasions. However, when the Numerologist found that after getting repeated success in battles, Hitler has started ignoring his hints,He then approached the British Prime Minister Mr. Winston Churchill who consulted the Numerologist till the end of the war. It is said that the great Emperor Napoleon Bonaparte used to spell his name as Napoleone Buonapart. But on the advice of a Numerologist he omitted the letters ‘E’ and ‘U’ from his name and heightened the power of his personality, and became the Emperor. The name is not just a name but also a form of cosmic energy. It reflects the goals, talents, and debts, in essence, the reasons for being here,When you practise your name, your name vibrations are activated and reach out to the person/persons you are talking to. Having a correct personal and Business name based on numerology releases positive cosmic energy, thus providing you with growth and great success.